Josh Brolin's Thanos also makes “Avengers: Infinity War” a serious Oscar contender for Digital Domain and Weta Digital. 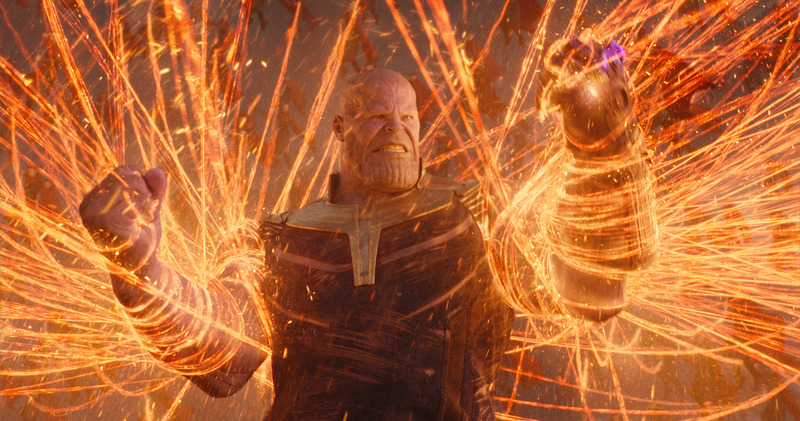 Marvel has never seen a VFX game-changer like Thanos. 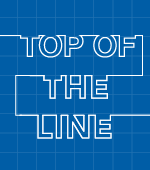 The star of “Infinity War” and the center of its record-breaking, $1 billion success, he’s performed with great intensity and inner turmoil by Josh Brolin — and brilliantly animated by Digital Domain and Weta Digital. 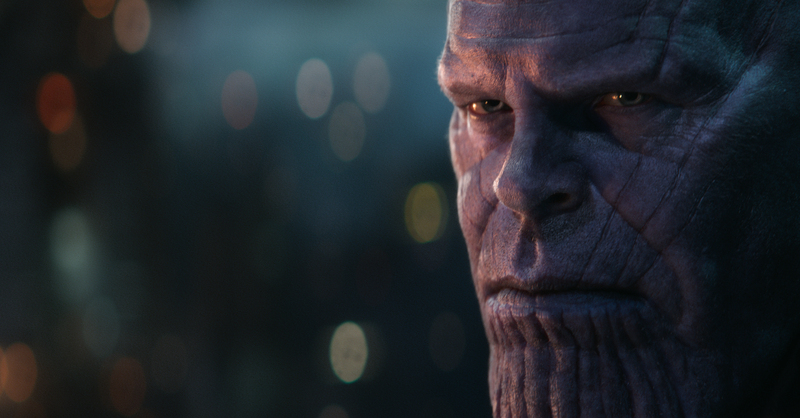 Thanks to Thanos, “Infinity War” now becomes a serious VFX Oscar contender. 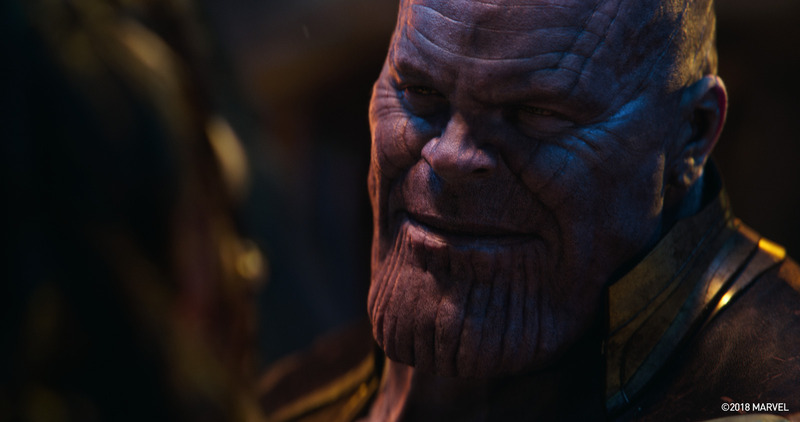 It was critical for Thanos to be completely human and relatable as a CG humanoid to carry the movie. He’s conflicted about the fate of his daughter, Gamora (Zoe Saldana), yet firm in his resolve to destroy half of the universe to preserve what’s left of the natural resources. 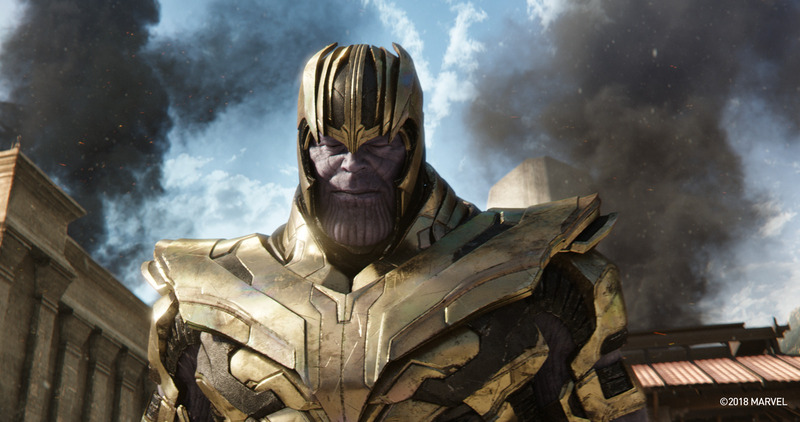 Digital Domain created Thanos from an initial proof of concept and handled everything except for the third-act Titan sequence, which was done in parallel by Weta Digital. The success of both Thanos characters was a direct result of conveying every nuance of Brolin’s onset performance at Pinewood Studios in Atlanta. For DD, this was achieved with a new high-res facial capture system, Masquerade, based on the concept of machine learning through computer algorithms. First, they captured facial data of Brolin via a separate session using Disney’s Research Medusa system and fed that into Masquerade. Then they added the actor’s low-res onset performance. Through analysis and fine-tuning, the animators accurately joined Brolin with Thanos. Fortunately, DD nailed the look and emotion in the initial two-minute test, and Brolin used it as a guide for visualizing his performance as Thanos. “Josh’s performance was something very new,” said Phil Cramer, DD’s animation director. “It was about how he was thinking with little twitches from the face.” The addition of a few hundred controls around the cheek and neck also contributed to a more subtle animated performance, letting Brolin know that he didn’t have to overact. The first challenge, though, was the opening fight between Thanos and Hulk (Mark Ruffalo). It only comprises 60 shots, but after suffering some hard blows from Hulk, Thanos responds with a flurry of punches that knock out the Avenger. “He needed to be so brutal that you guess right away that this is a different-style Marvel movie where the superhero is not winning,” Cramer said. Equally challenging was the contemplative moment after Thanos kills Gamora, in which he’s confronted by her childlike presence in one of his dreams. “It’s a quiet scene, but we wanted to get across all of the details in Josh’s performance,” said Port. For the confrontations on Titan, the home planet of Thanos, Weta upped its facial animation for the supervillain. To better translate Brolin’s performance, they made both a Brolin model and a Thanos model for more accurate 1:1 translation. This intermediary step was new to Weta.